There are but two remaining unbeaten teams with double-digit games played heading into college baseball’s fourth weekend of the 2015 season. 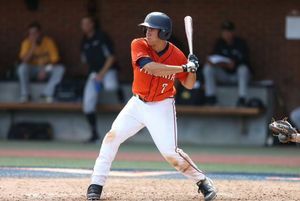 Virginia (10-0) is no surprise after going all the way to the College World Series Finals last June. 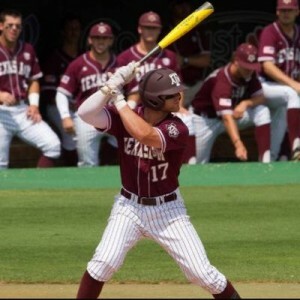 Texas A&M (13-0) is not all that surprising either, considering the Aggies won seven of their first eight games and advanced to a Regional last year. Pavin Smith leads Virginia with a .500 batting average. .280…Virginia team batting average. The Cavs have still averaged 5.9 runs-per-game. 7…Players who have started all 10 Virginia games to date. Six other players each have at least one start. .371…Combined batting average of Virginia’s top four bats in the line-up. The team is led by first baseman Pavin Smith’s .500 (21-for-42) clip. He also leads the Cavs with seven doubles and an .810 slugging percentage. .162…Combined batting average of the next three players who have started all 10 games. Second baseman Justin Novak has just one hit in 34 at-bats – a .029 average – to start the year. 1.27…Staff ERA posted by Virginia. The team’s 111 strikeouts and just 31 walks issued have held teams to just 2.1 runs-per-game. 0.84…ERA of UVA closer Josh Sborz – a weekend starter in 2014. Sborz has three of his team’s six saves. 6…Virginia pitchers who have more strikeouts than innings pitched. The group is led by Friday starter Nathan Kirby (3-0). The lefty has fanned 24 opposing batters in 18 1/3 innings while posting a 0.49 ERA in three starts. 0.56…ERA of Saturday starter Connor Jones. The sophomore has allowed just one earned run in his three starts, but he has the second-best ERA on the team. 0…Home games Virginia has played so far. Three midweek games have been canceled and three other games were moved to Myrtle Beach, SC last weekend. 167…Virginia’s current Warren Nolan strength of schedule – a full 103 spots ahead of Texas A&M’s 270 SOS. .342…Texas A&M’s team batting average. The Aggies have mashed the ball to the tune of 8.9 runs-per-game in their 13-0 start. 4…Times the Aggies have scored at least 10 runs this season. The high-water mark came in a 19-2 thumping of Holy Cross to open the season. Logan Taylor leads Texas A&M with five home runs. 7…Aggie players with at least 10 RBIs. The group is led by Nick Banks (14), who has played in 12 of 13 games. 5…Team-leading home runs by Logan Taylor. The left fielder is hitting .405 with a team-best .892 slugging percentage. .450…Team-leading batting average of Mitchell Nau. Nick Banks is on his heels at .444. 7…Relievers who are yet to allow an earned run. The group has combined for five saves, 26 1/3 IP, 29 strikeouts and just one walk while helping the Aggies to a 1.85 ERA. 0.56…ERA sported by starting pitcher A.J. Minter (2-0). The lefty has 23 strikeouts and eight walks in 16 IP. 13…Home games TAMU has played. The three games in Houston this weekend will be the first away from College Station in 2015.